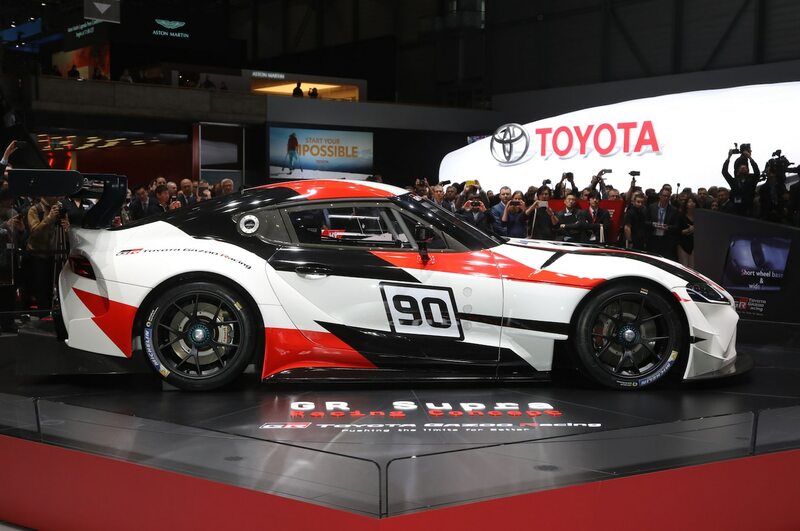 After the debut of the Gazoo Racing Supra concept at the 2018 Geneva Motor Show, we had two opportunities to chat with Tetsuya Tada, chief engineer of the next-generation Toyota Supra. 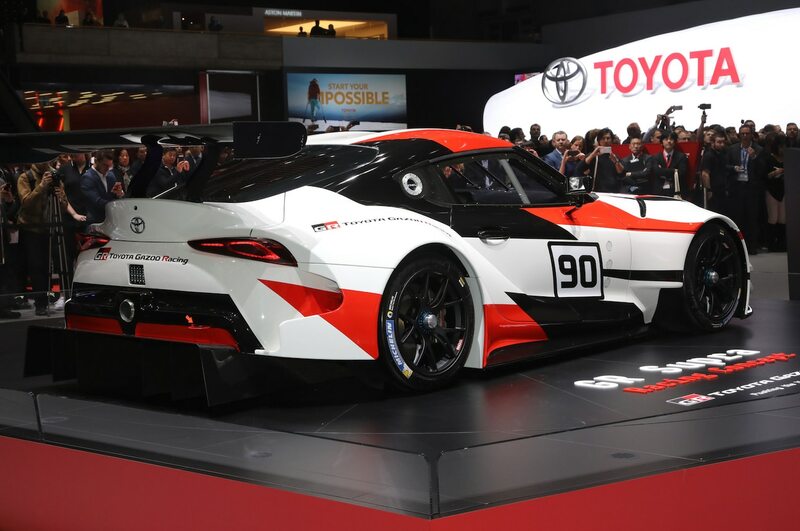 In each instance, Tada-san was friendly, candid, and occasionally cagey about the details regarding the production-spec Supra that has been given the code “A90.” Because much of what we discussed refers to the Gazoo Racing concept, we suggest reading that piece first. 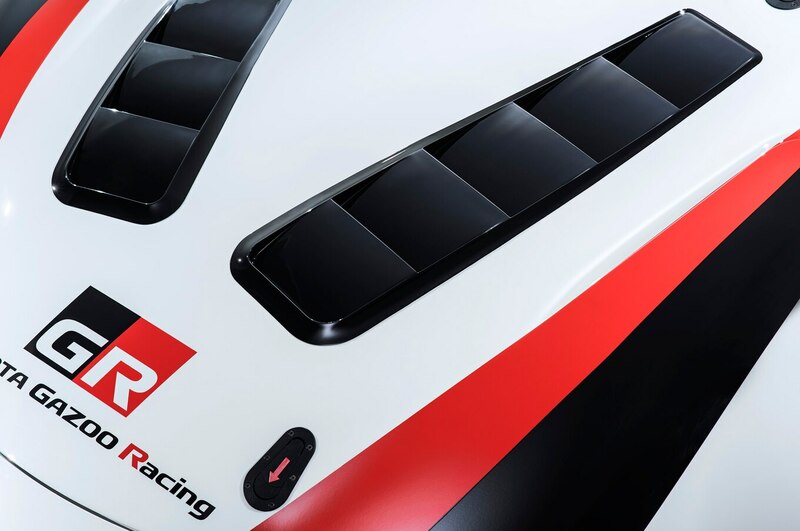 The Supra is confirmed as a two seater. 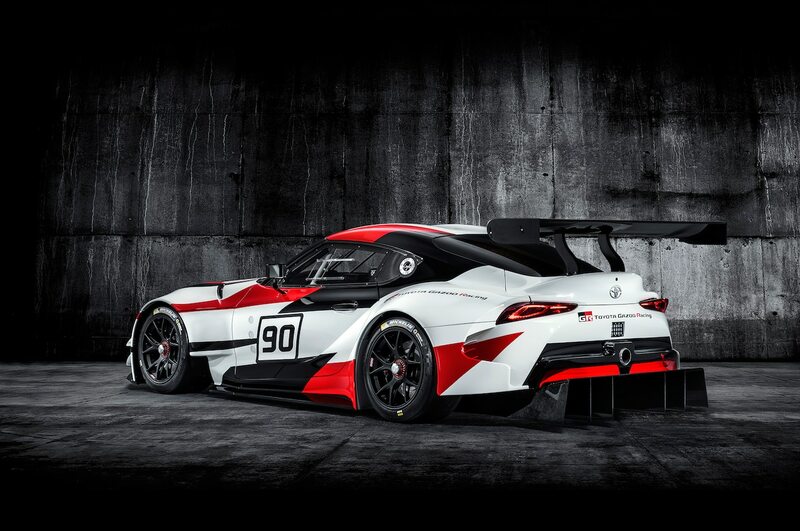 We kinda knew this already, since the Supra’s platform-mate, the BMW Z4, is being developed as two-seat roadster, but it was still news to hear it from the mouth of the chief engineer. 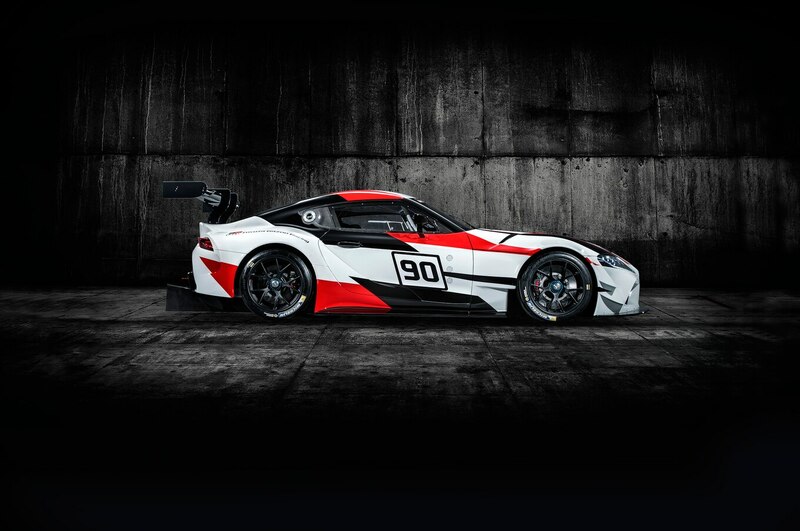 “For this Supra, we did not have to take into account practical elements like back seats. 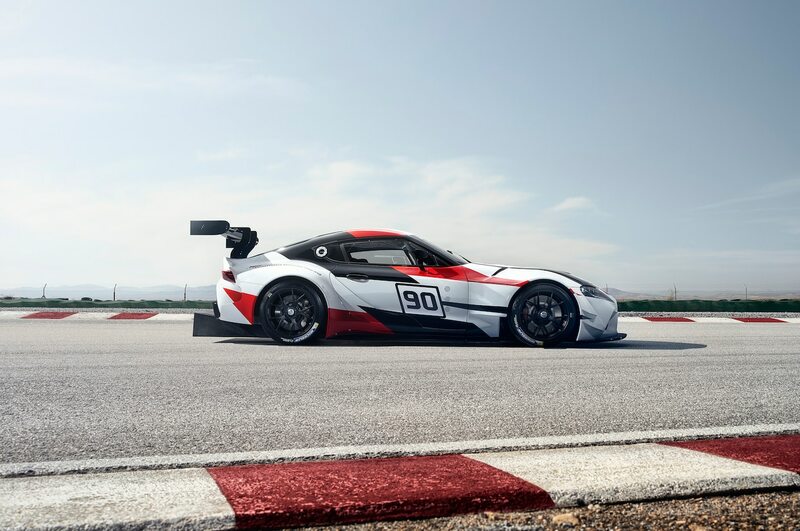 We wanted to make a pure sports car and to come up with a ideal balance to realize optimal performance, which we decided on a two-seater.” This is a significant break from Supra tradition; the A90 will be the fifth-generation Supra, but the first two-seater. 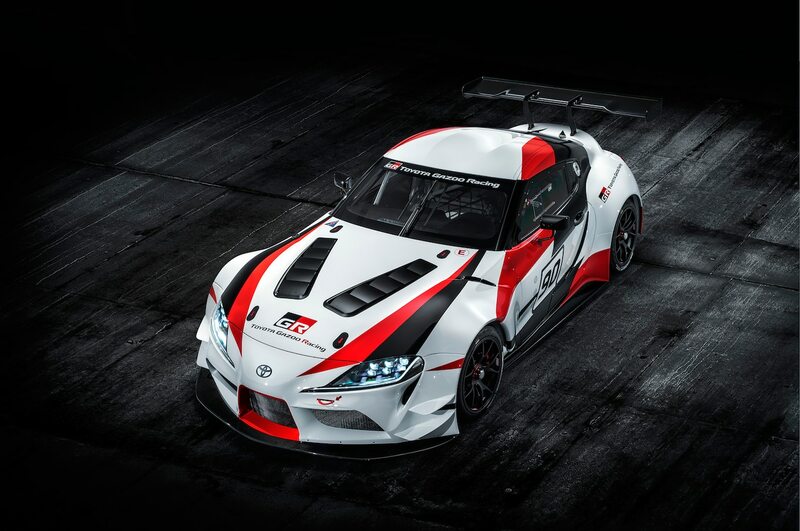 But a hybrid powered Supra is also a go. 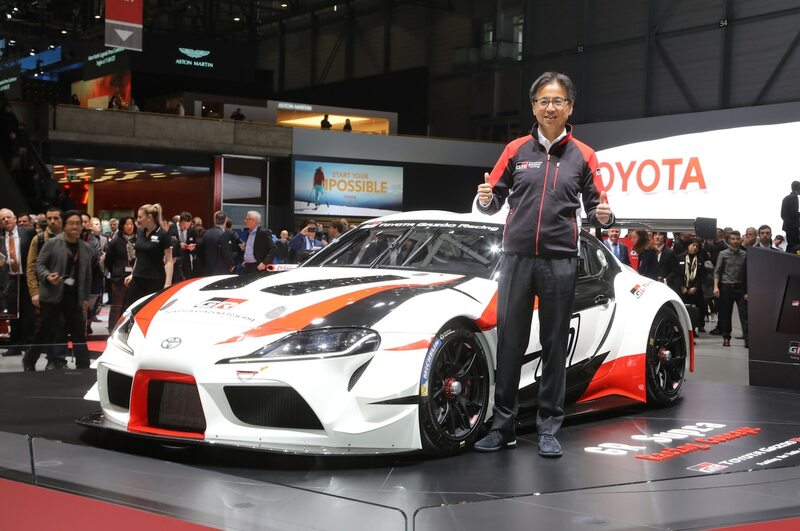 Tada-san brought up the possibility of a hybridized Supra variant since, well, Toyota has some experience there, but declined to give any specifics about the system’s origins or engine displacement. 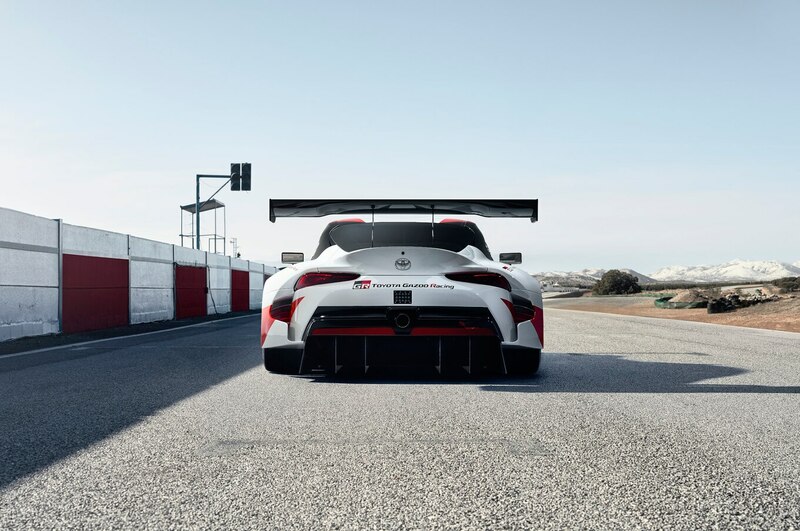 When asked later whether the BMW engine could work with Toyota’s Hybrid Synergy Drive (HSD) rear-drive transmission, Tada-san replied, “You mean as in Lexus LC [referring to the Lexus LC 500h hybrid]? 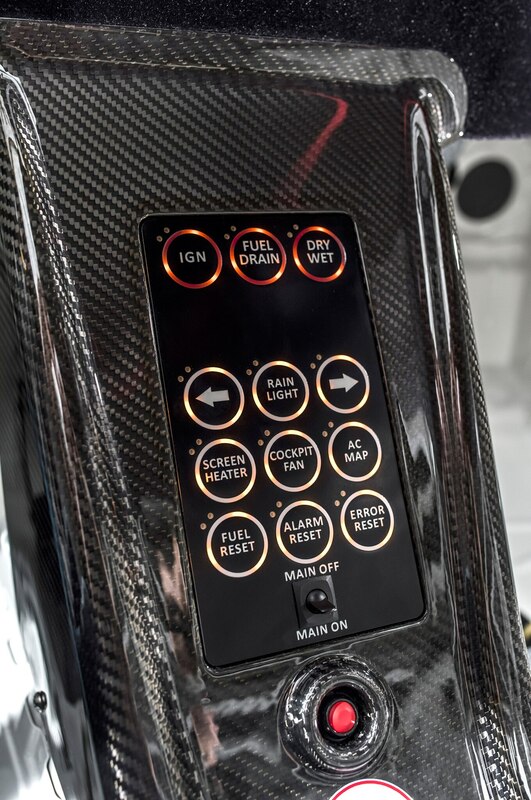 Yes, we are considering. 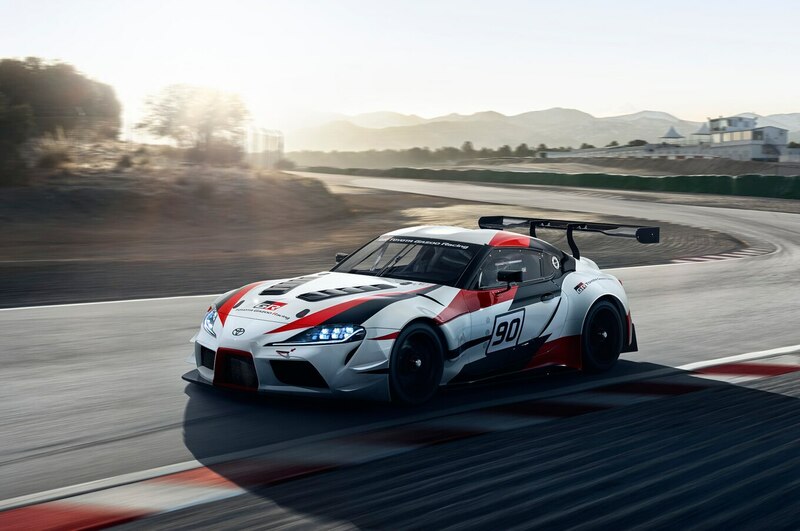 Aisin is the [transmission] supplier and they already have a relationship with BMW.” Still up in the air is whether the hybrid system would utilize the I-6 (LC 500h uses a 3.5-liter V-6) or one of BMW’s other inline engines (I-4 or I-3). 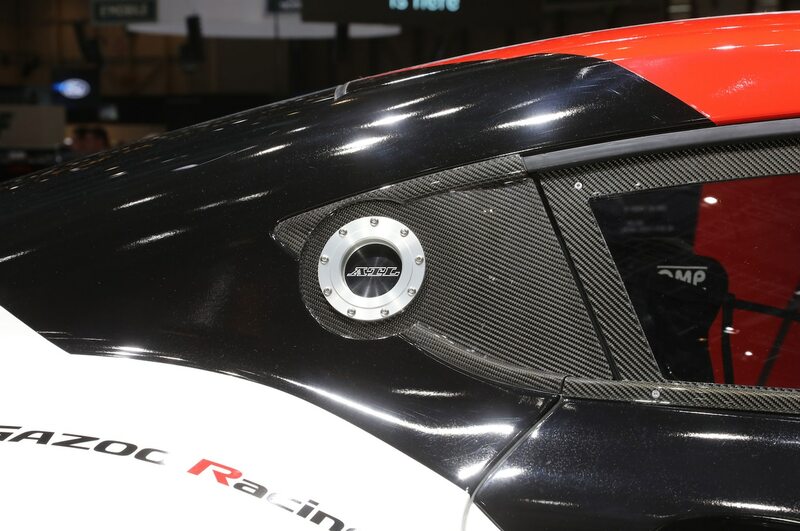 Weight balance will be perfect 50:50 front-to-rear. 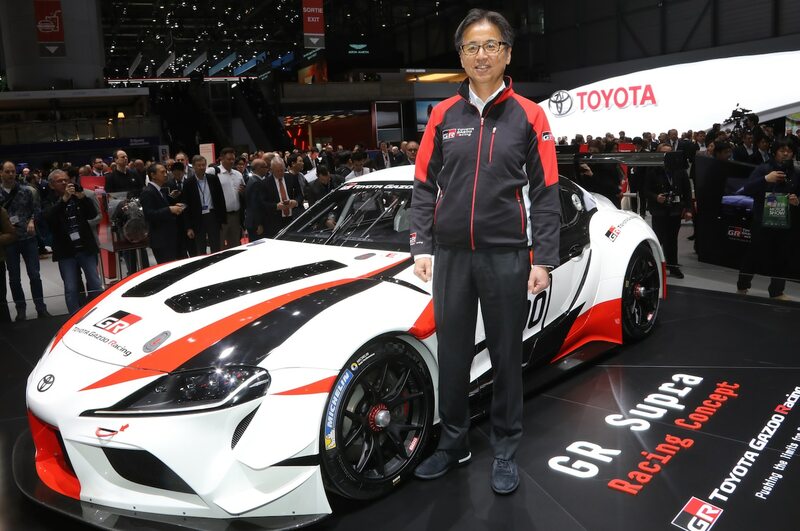 Prior to taking up the A90 Supra project, Tada-san was chief engineer on the Toyota-Subaru 2+2 sports car project that led to the Toyota 86/Scion FR-S/Subaru BRZ triplets. 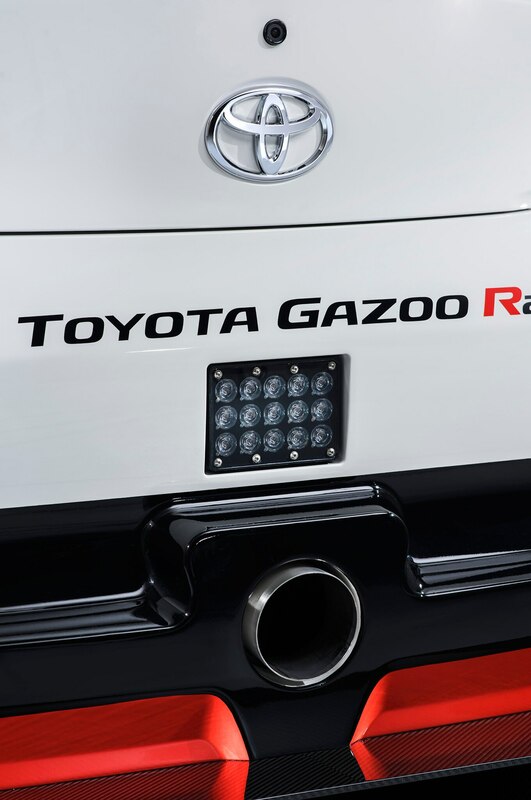 As you know, that project was powered by a four-cylinder boxer engine supplied by Subaru; and the flat layout of the boxer provided a handling advantage. 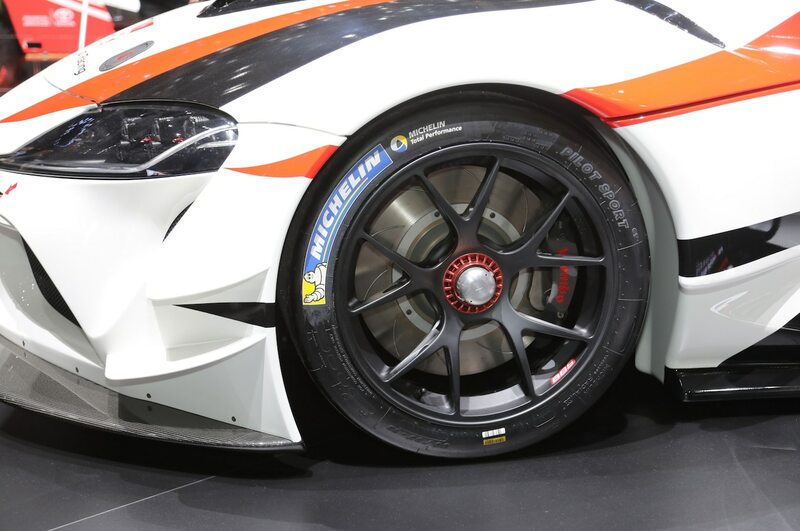 But it was also a bit too front heavy, says Tada-san. 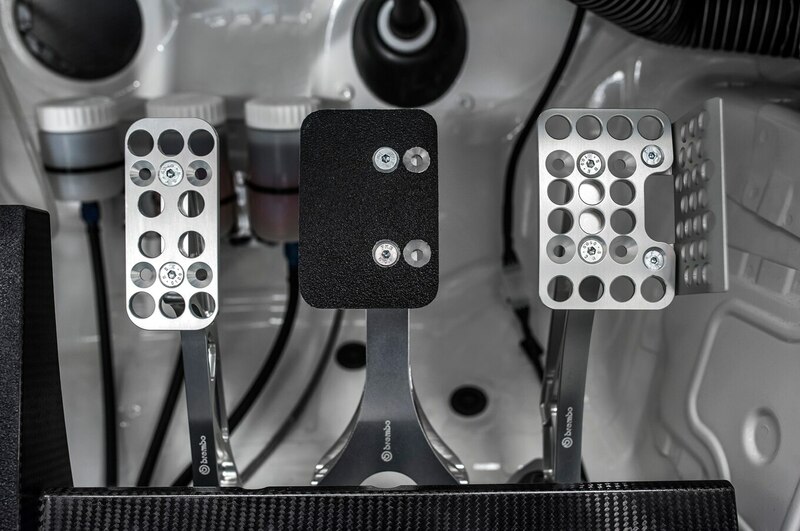 In our testing, we found that a manual-transmission 2013 Scion FR-S weighed 2,737 pounds (1,241 kg), with a 55/45 percent front/rear weight distribution. 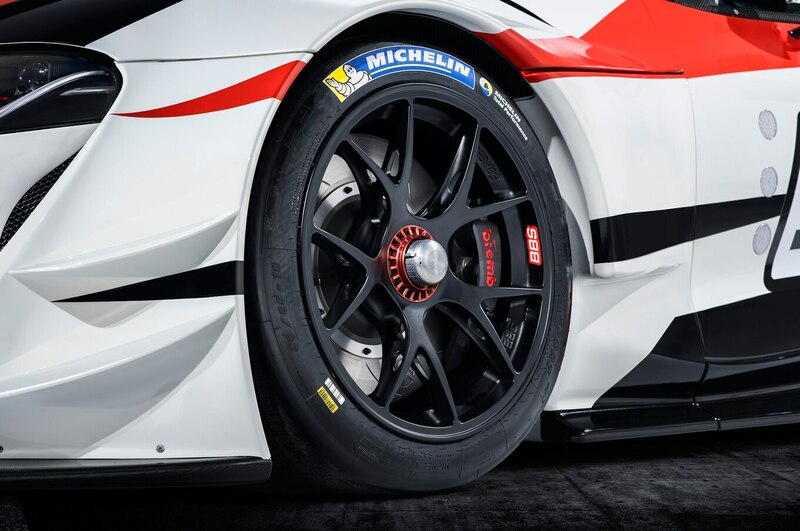 “For Supra, we made sure that there a perfect balance in terms of weight. 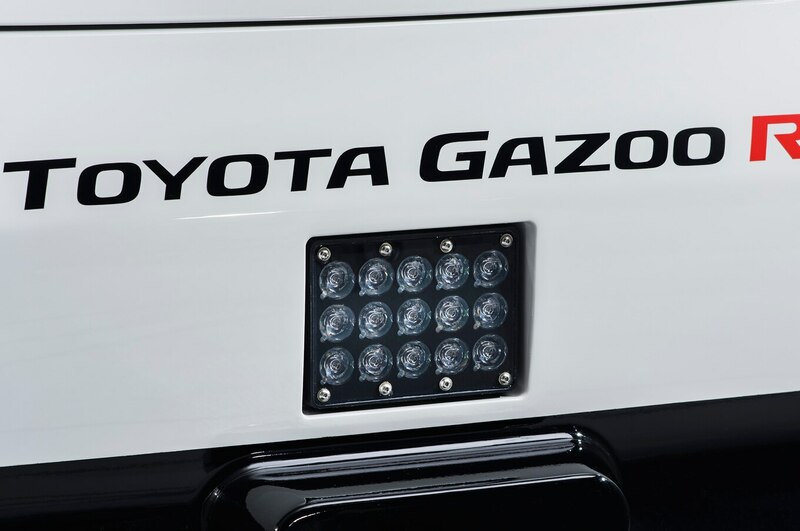 50-50,” says Tada-san. 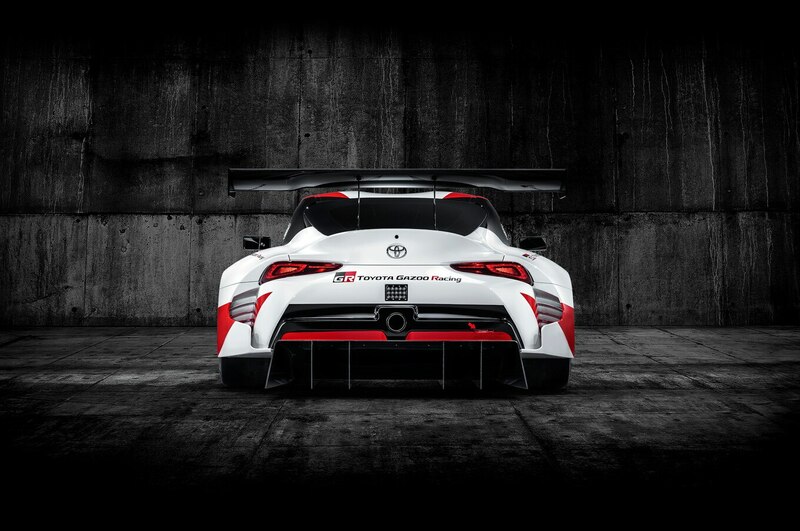 Center of gravity will be lower than Toyota 86, but we don’t know how Tada-san will get there. 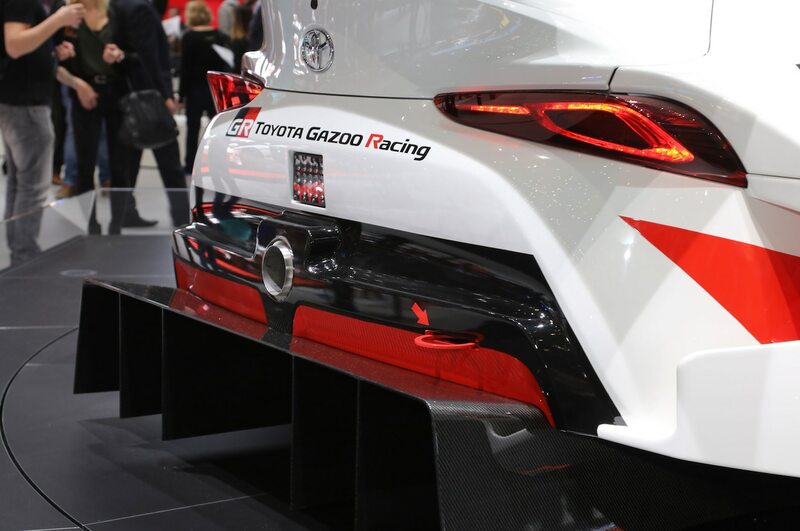 As mentioned above, Tada claims the flat layout of the boxer-four engine gave his Toyota 86 a handling advantage by helping to keep mass, and thus the center of gravity, low. 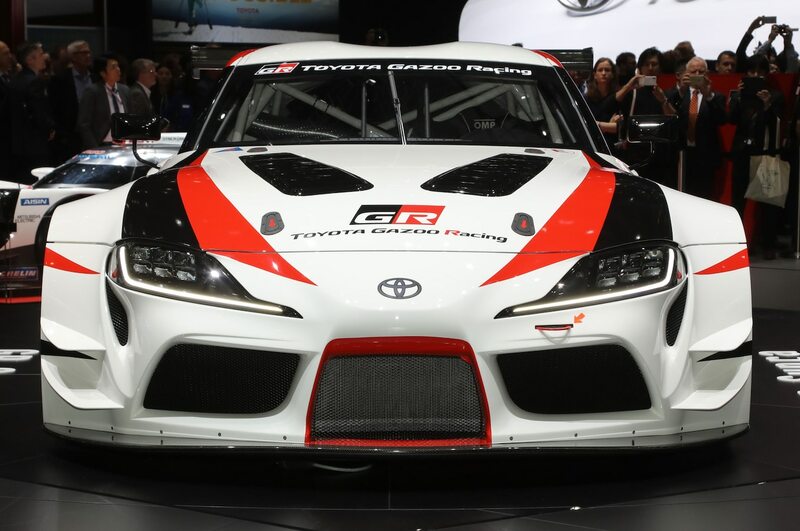 In fact, during the launch of the Toyota GT86 and Scion FR-S, it was claimed the boxer engine sat only 0.6 inches higher than the engine in the LFA. 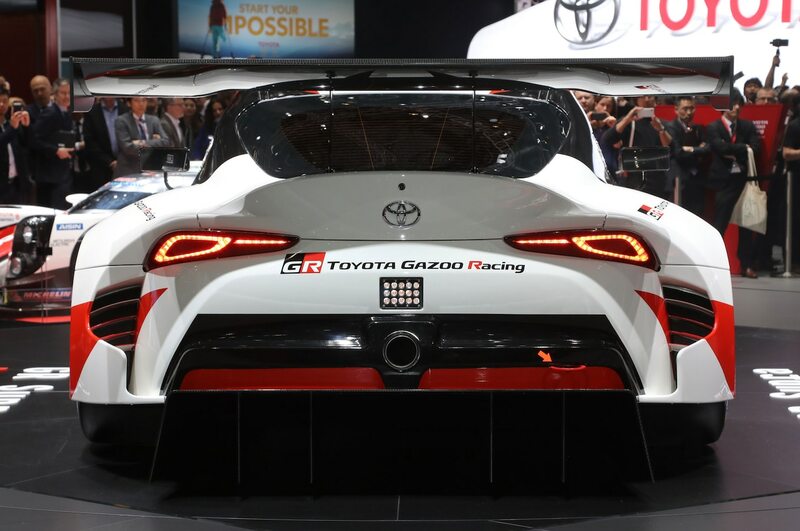 Tada says, the Supra’s center of gravity will go even lower than the 86/FR-S, and if the Gazoo Racing Supra concept’s dimensions are a guide, he is off to a good start. 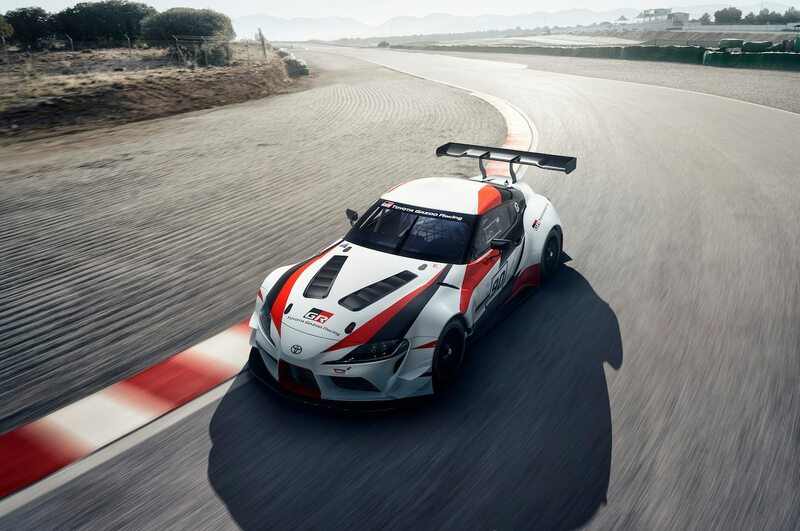 The roof height of the Supra concept is 48.4 inches, which is 2.2 inches lower than the roof of the 2018 Toyota 86. 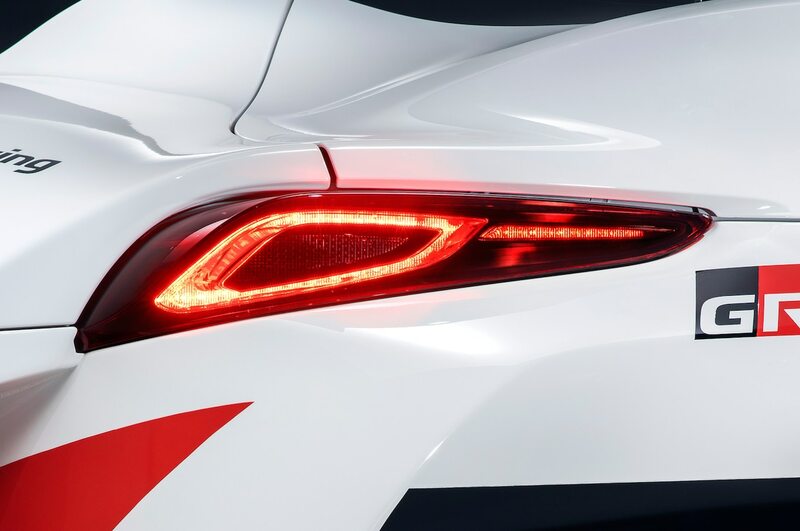 But remember that the inline-six engine should be considerably longer, taller (even if tilted to one side) and possibly heavier, since it will be turbocharged. 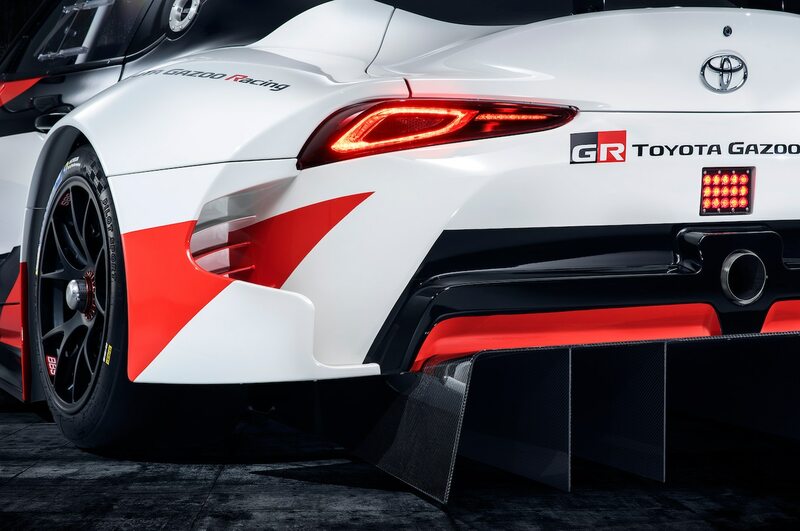 Although the GR Supra concept is 13.4 inches longer than the 86, part of that is the massive rear diffuser and front lip, and the wheelbase is actually about 4 inches shorter. 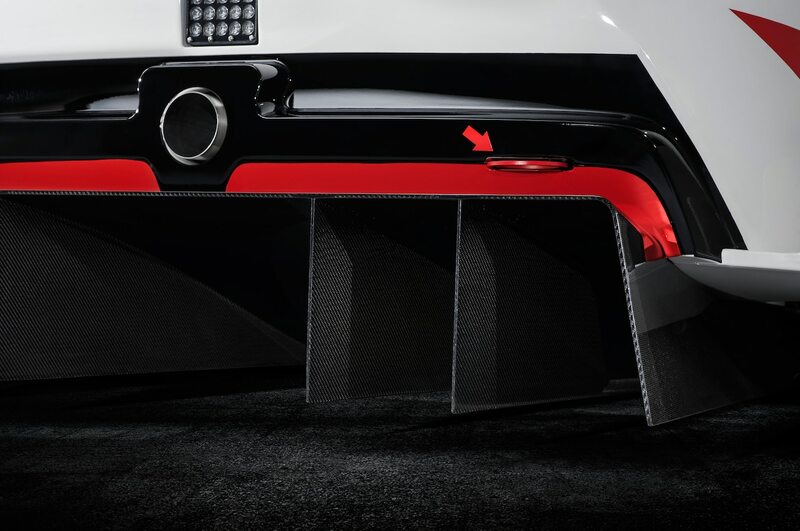 Is that enough room to get a longer, taller, heavier engine into the vehicle, while lowering center of gravity and achieving optimal weight balance? 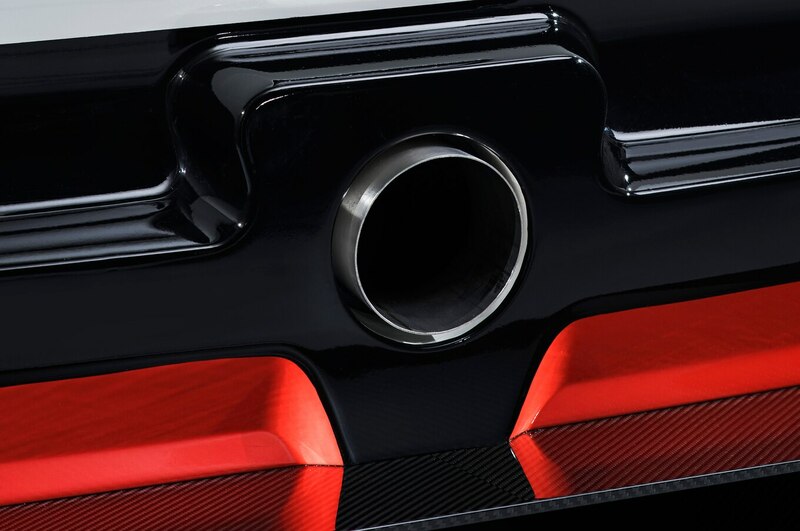 Tada says yes, but that we’ll have to wait to find out how. 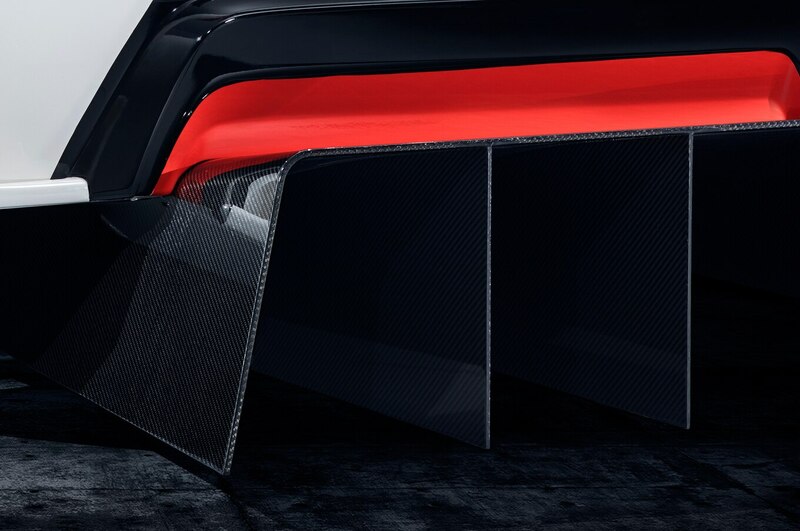 “I would like to keep the very detailed answer to that question until we launch the production car because there is no simple, single answer to that question, not one single element of technology allows for that lower center of gravity, but a combination of various elements and technologies.” Fair enough. 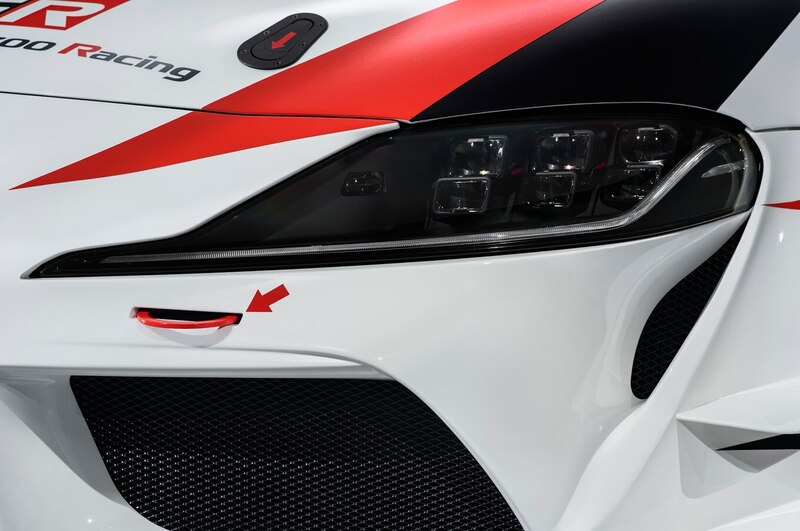 The Supra will have double the body rigidity of the 86. 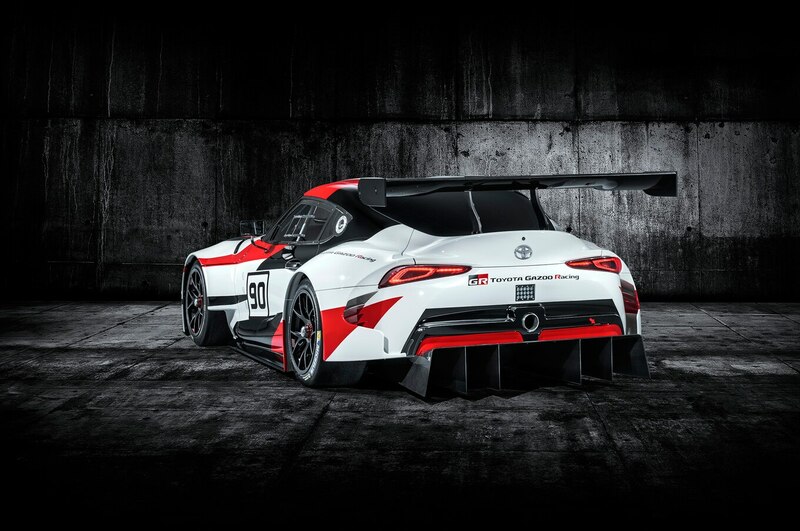 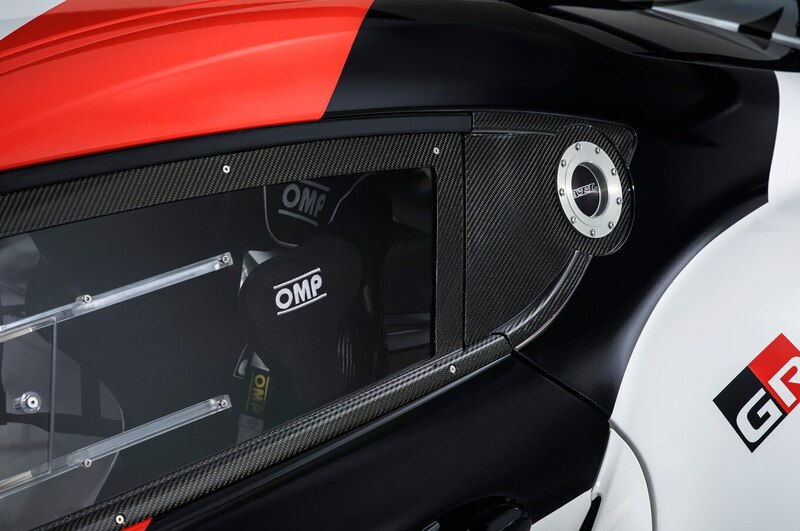 “Another important goal we have as we are preparing the production version of this car is that we will have two-fold increase in body rigidity compared to GT86,” said Tada-san. 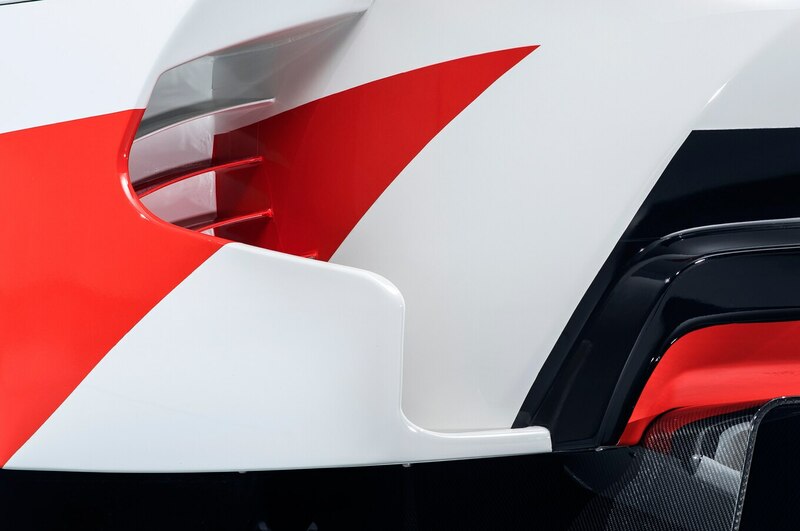 He just offered this one up; we didn’t even have to ask. 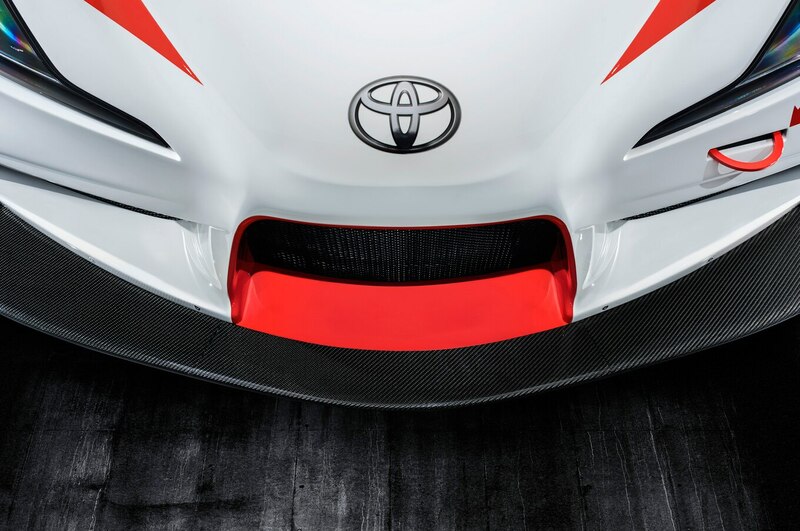 Supra will have active torque vectoring. 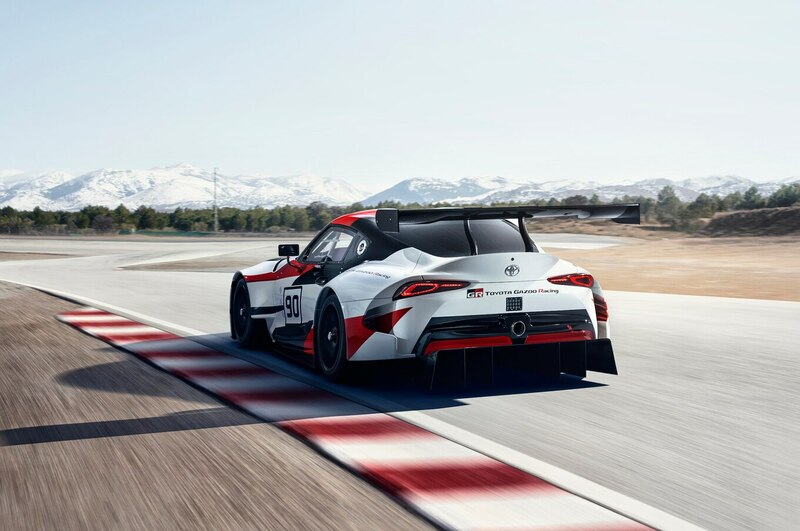 Unlike the Toyota 86, which uses a brake-based system (called VSC Track Mode) to brake the rear wheel on the inside of the turn and send torque to the outside wheel (via Torsen LSD), the Supra will use a higher-performance active torque vectoring differential. 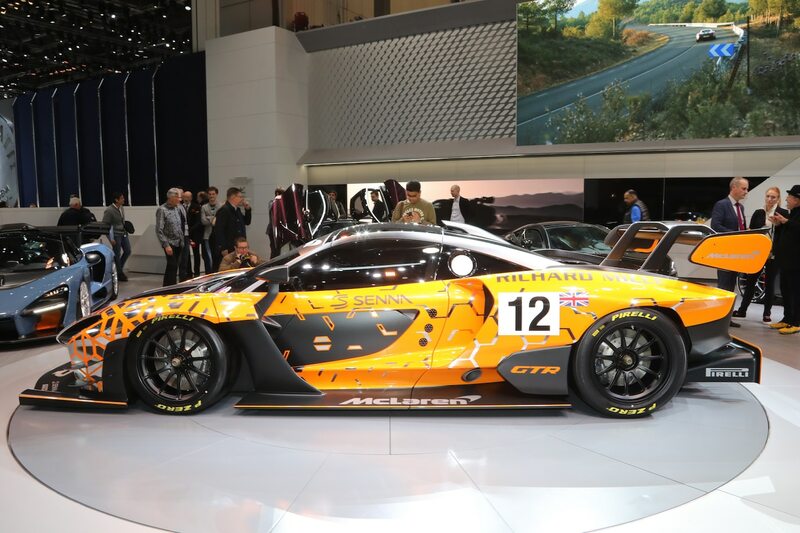 Tada-san declined to give details on what kind. 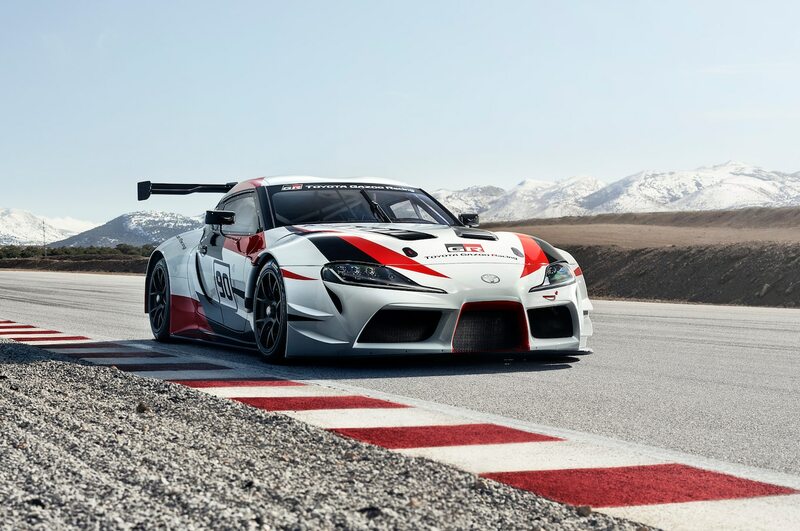 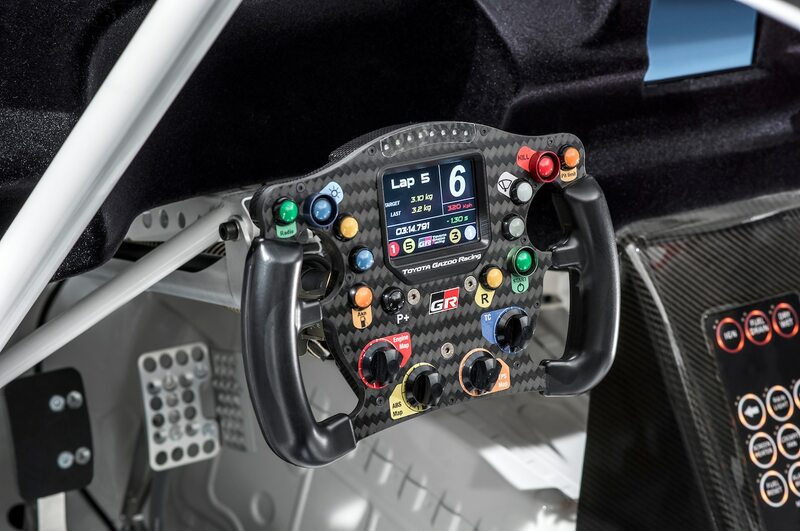 Supra will have electronic power steering, but not steer-by-wire, or brake-by-wire for that matter. 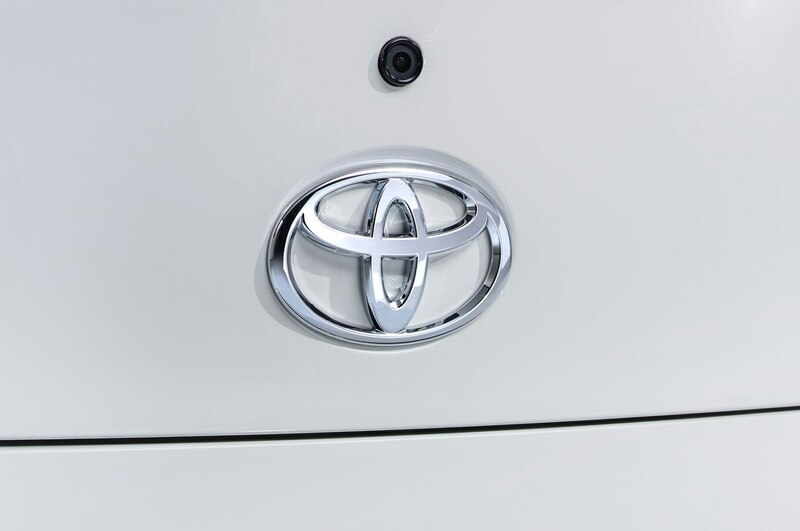 Tada-san seemed genuinely confused when we asked if a steer-by-wire system would help solve any packaging problems. 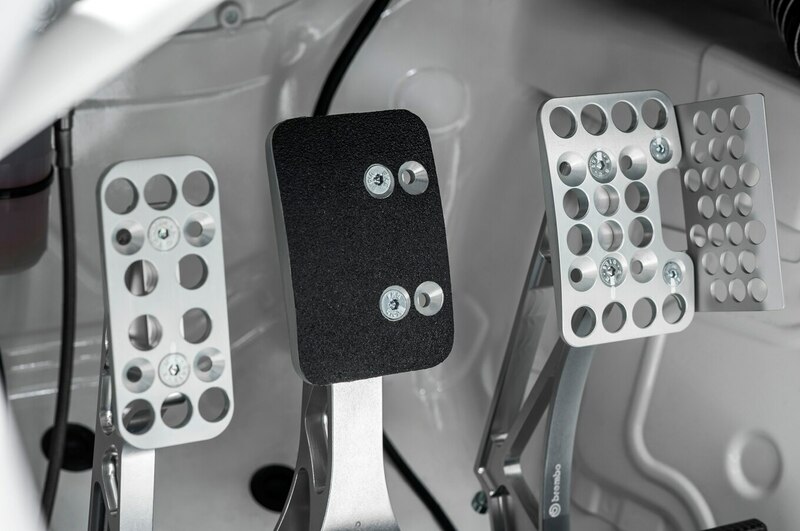 The answer is no because in every major market, cars with fully electronic steering still must have a redundant mechanical linkage, in case of system failure. 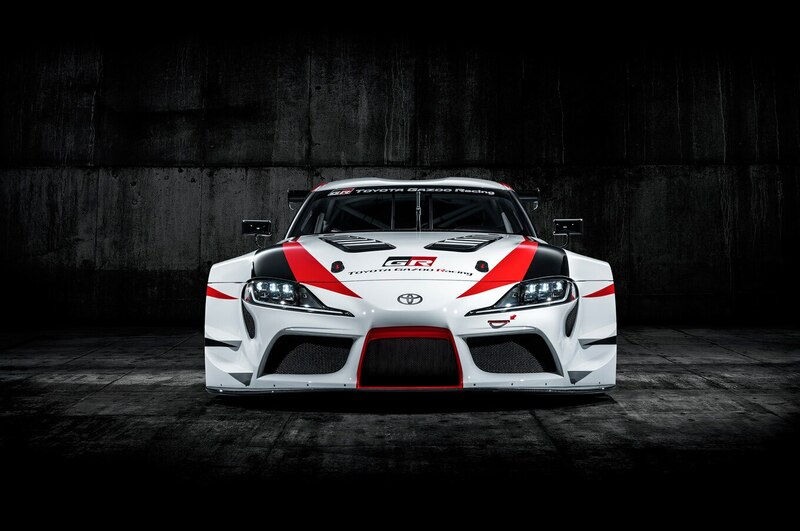 We knew the rules haven’t changed, but thought perhaps the Supra team found a way around them. 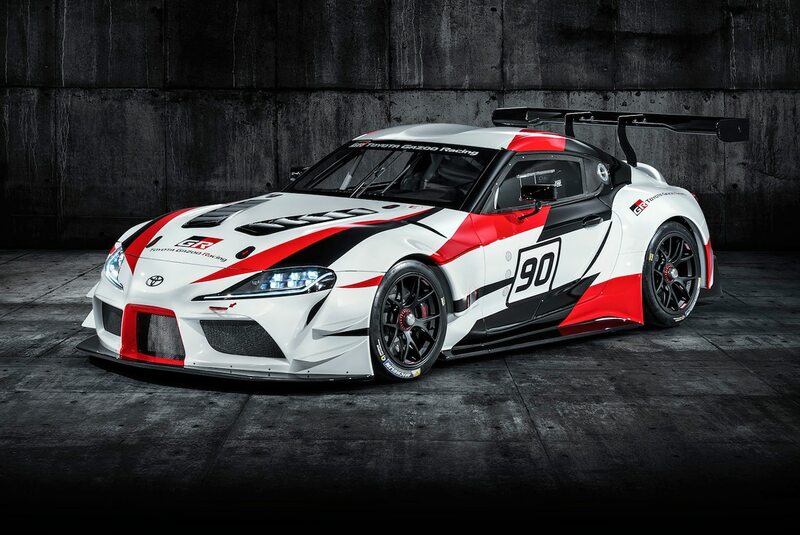 Tada-san also flatly denied that Supra would have a brake-by-wire system. 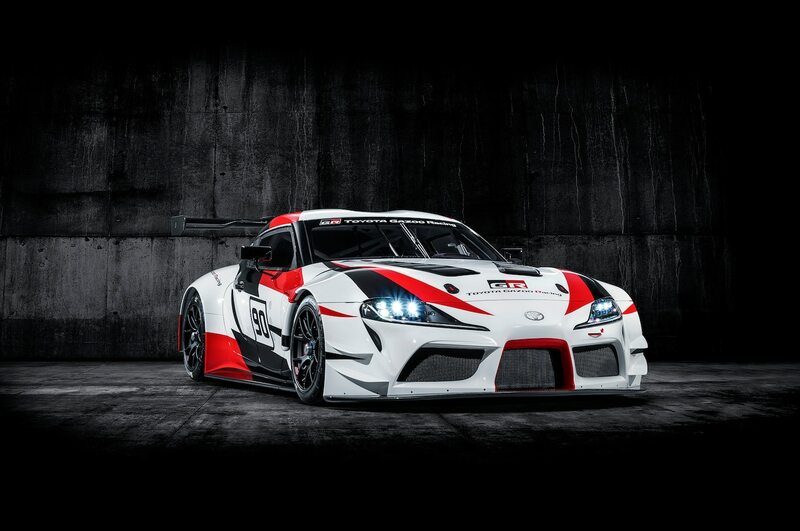 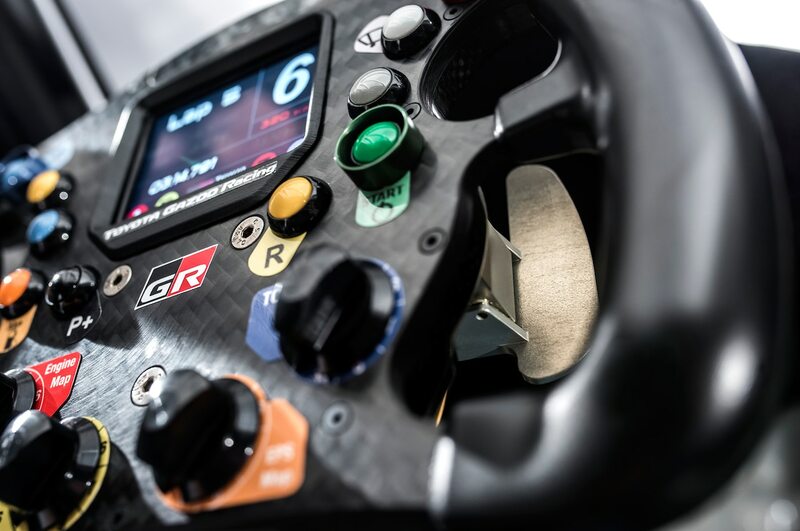 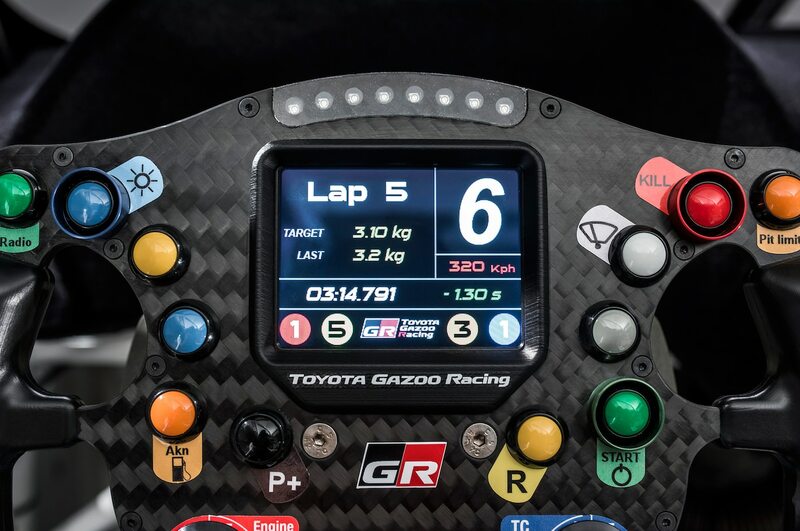 Supra will return to racing in the Super GT top level GT500 class. 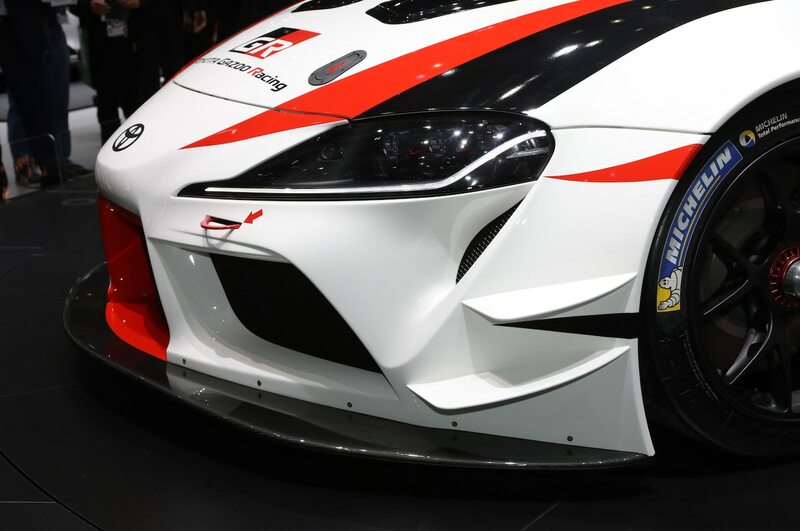 E-racing aside, the Gazoo Racing Supra will also go compete in various series in real life, including the Super GT series popular in Japan and throughout Asia. 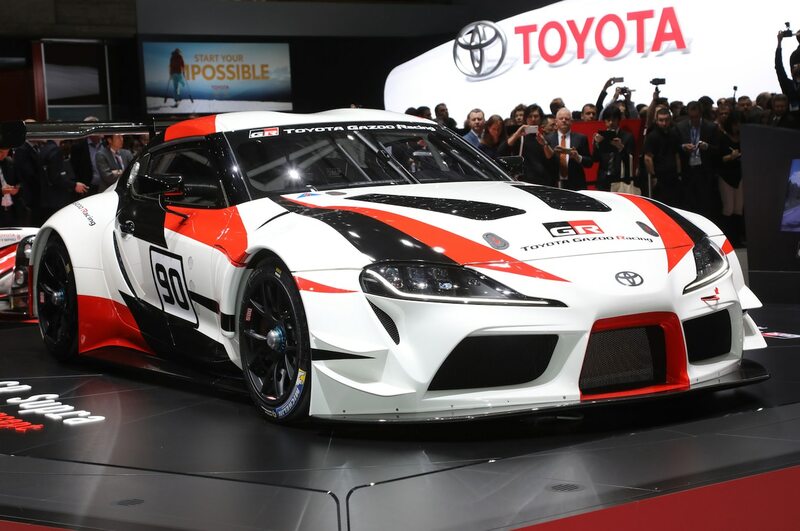 This is the modern version of the legendary Japanese Grand Touring Championship, in which the A80 Supra competed in the top level GT500 class. 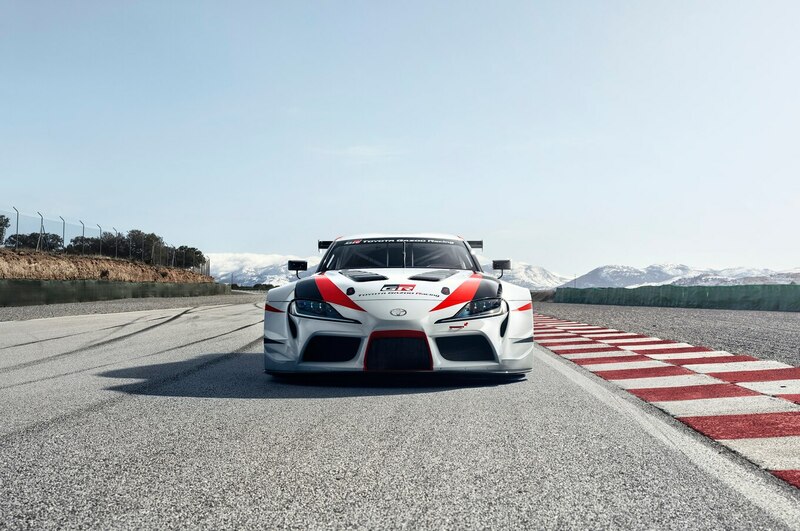 When asked whether the A90 Supra would compete in the lower level GT300 class or in the GT500 class (in which Lexus currently campaigns a 600-horsepower LC 500 race car), Tada replied, “GT500” and smiled.